Emanuele Padovani, Ph.D., is associate professor at the Department of Management, School of Economics Management and Statistics, University of Bologna, Italy, where he teaches Public Performance Governance and Service Delivery, Management and Accounting Issues in Public-Private Partnership, Accounting and Auditing in the European Public Sector, Management Control Systems. He also has been invited as guest lecturer at the undergraduate, graduate, and executive levels in many different Italian universities and abroad (University of Valencia in Spain, Methodist University of Sao Paulo in Brazil, Aahrus Business School in Denmark, Michigan State University of East Lansing in the U.S., University of Washington of Seattle in the U.S., Université Paul Cézanne of Aix-en-Provence/Marseille in France). He has also taught for several national and international public and private executive training institutions amongst which Institut National des Etudes Territoriales (INET, France), Italian school for public managers (SSPA), Ministry of Treasury, Italian bank association, Il Sole 24 Ore). His research focuses mainly in public management and accounting with particular reference to local governments and healthcare organizations. His area of expertise concerns management control systems, performance measurement for management, auditing and benchmarking, and management of outsourcing. He has collaborated on research and consulting projects with major local, national and international public institutions throughout Italy and Europe, including the INET - Institut National des Etudes Territoriales, France (public training institute for city managers and senior managers of French local governments), EIPA - European Institute for Public Administration (European Union), Italian Home Office, the Department of Public Affairs, the Department of Civil Protection, the National Audit Court, and the leading Italian publisher for financial topics Il Sole 24 Ore. He has served as an expert for the Italian Independent Commission for Evaluation, Transparency and Integrity for Public Sector with the aim to cooperate in the definition of the national guidelines for performance management in the public sector. He is co-developer of a model of financial distress assessment for local governments and their corporations by Bureau van Dijk Electronic Publishing (Belgium), multinational world leader in databases containing public and private organizations' financial and non-financial information. 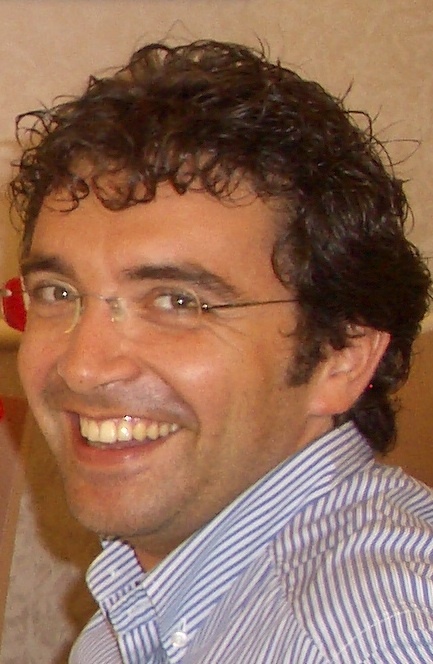 He has been responsible for a joint project by the Local Healthcare Authority of Forlì (Italy) and University of Bologna's Department of Management on the introduction of financial and non-financial performance measurement within the operating room department at Forlì Hospital based on ICT; this project has been awarded by the European Institute for Public Administration within the European Public Sector Award 2011. In March 2013, he has been appointed as national expert for spending review by the National Audit Court. He is also co-author with David W. Young of the book Managing Local Governments. Designing Management Control Systems that Deliver Value (Routledge, 2012) and some teaching cases distributed by Harvard Business School Press. Professor Padovani received his undergraduate degree from the University of Bologna, and earned his Ph.D. in Management and Accounting from the University of Ferrara, Italy, in 2005. In 2002, he spent several months in Boston, Massachusetts, to study outsourcing in local governments.